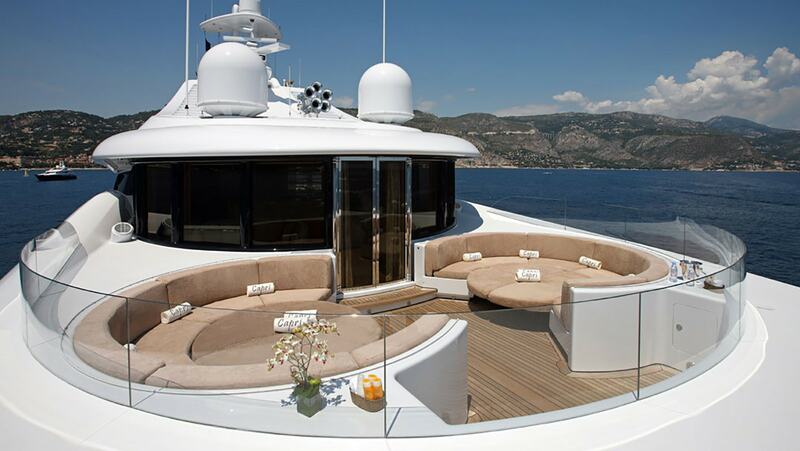 Mega yacht CAPRI I is the perfect combination of classic style and modern comfort. 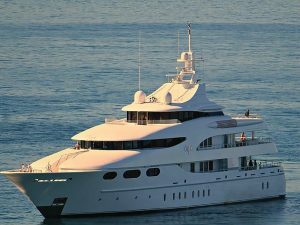 She measured 58.55m (192.09 ft), built in 2003 by German shipyard Lürssen and last refitted in 2017. 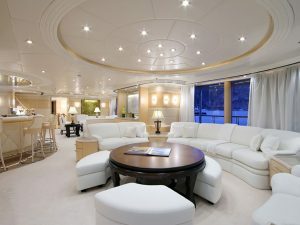 Responsible for her magnificent interior and exterior design is Glade Johnson Design. 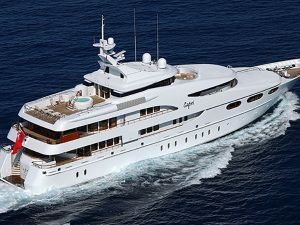 Her previously name was Capri. 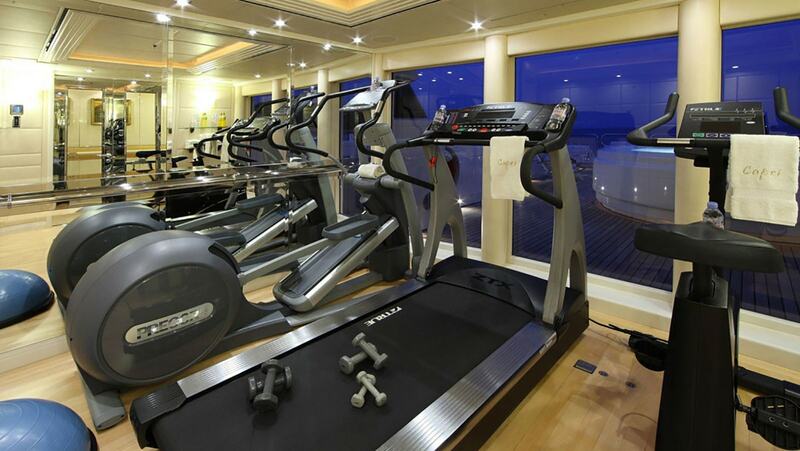 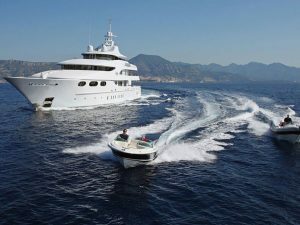 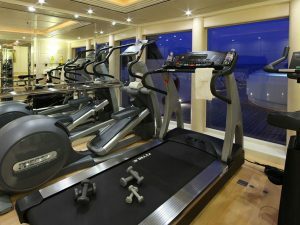 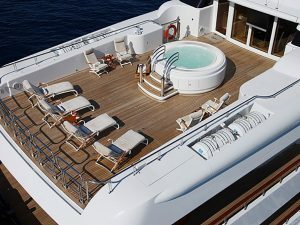 Mega M/Y CAPRI I, features a wide range of modern facilities. 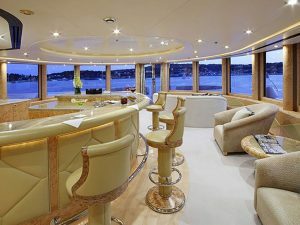 The interior is designed to be comfortable and warm. 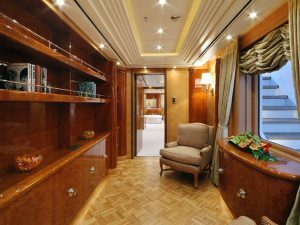 She act of combining clasical details with contemporary elements, while the more formal parts of the M/Y CAPRI I, display inlaid marble, burled woods and silk fabrics. 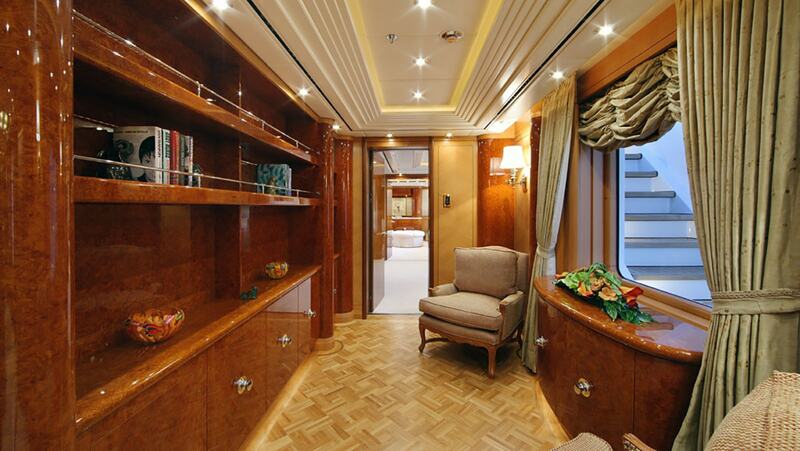 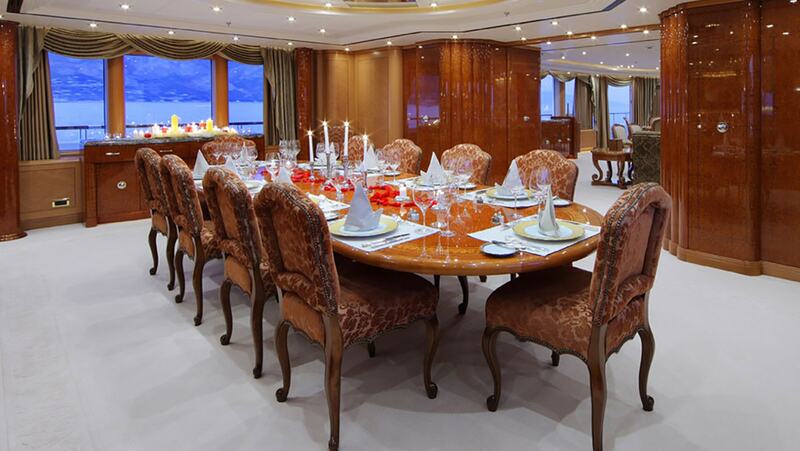 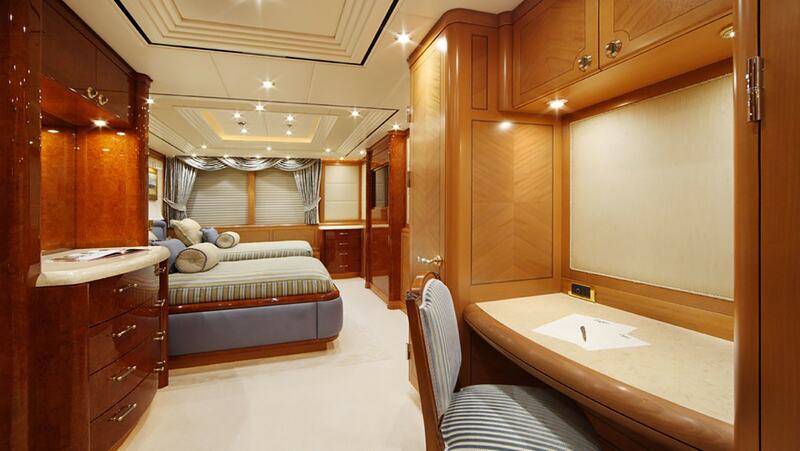 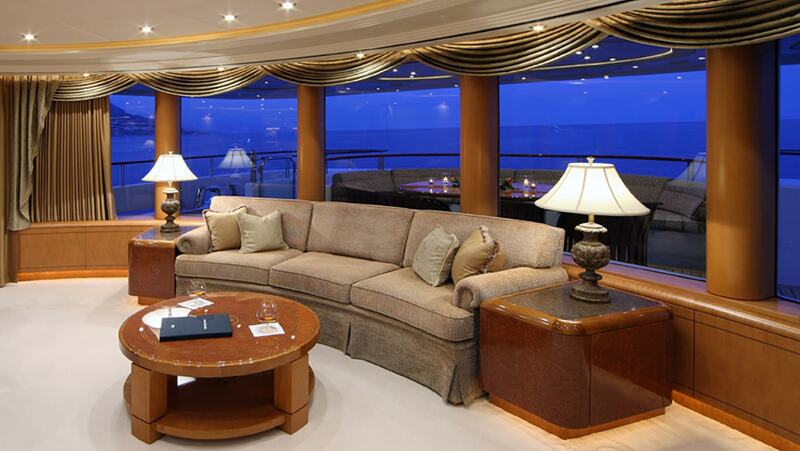 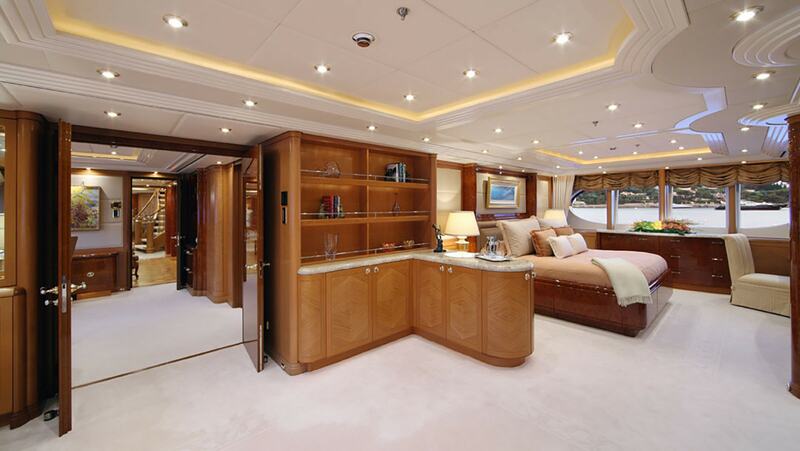 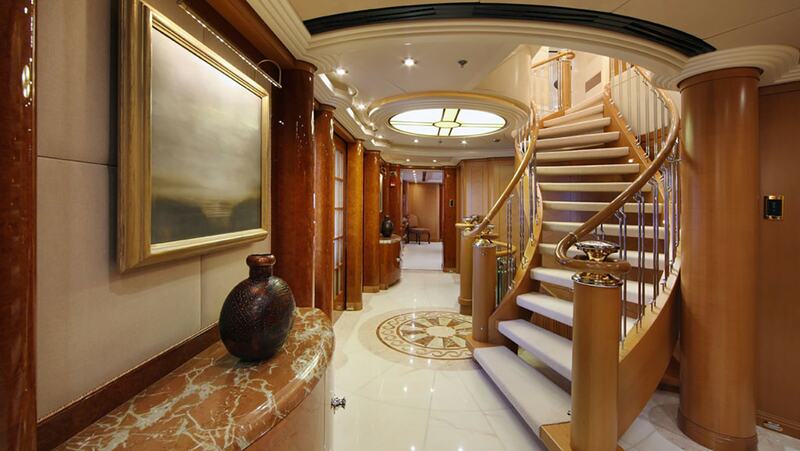 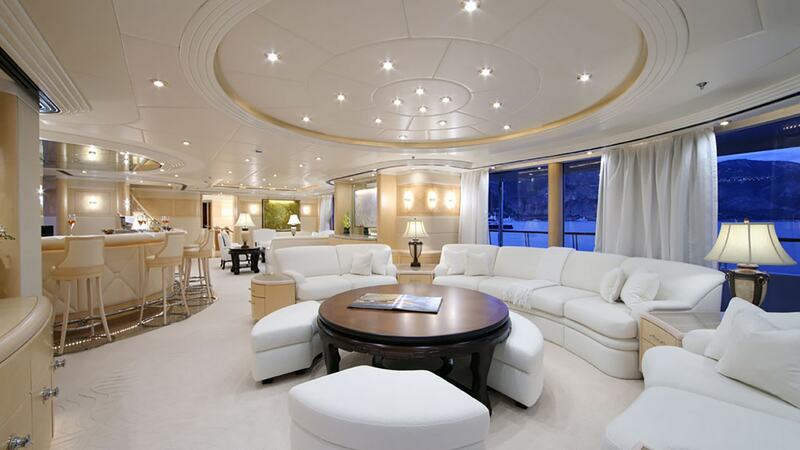 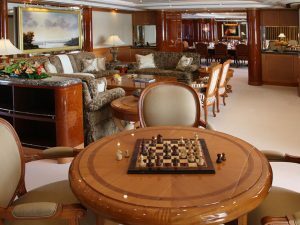 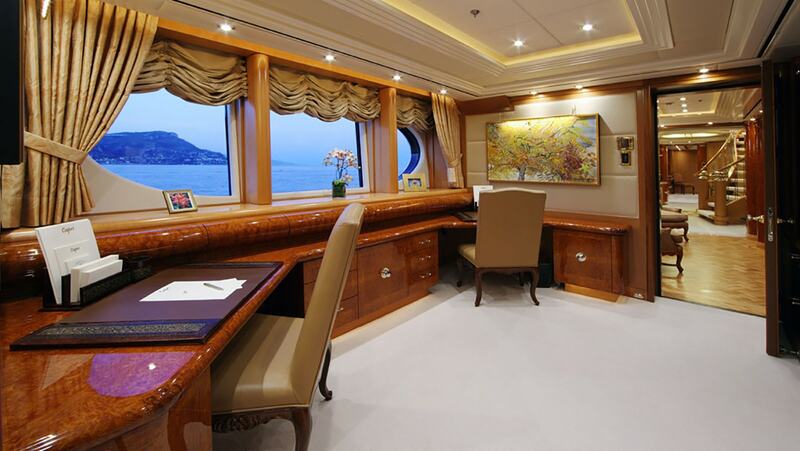 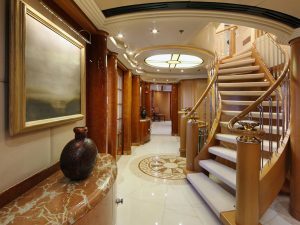 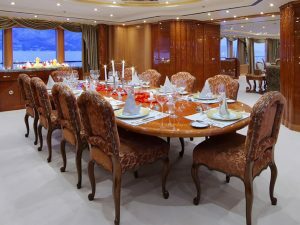 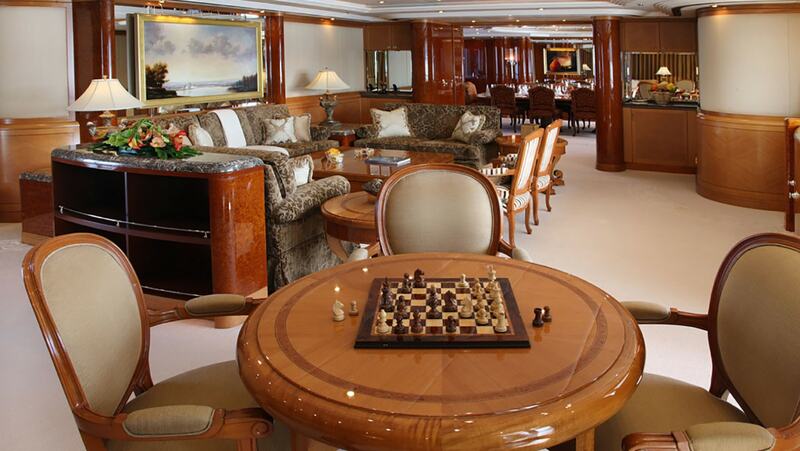 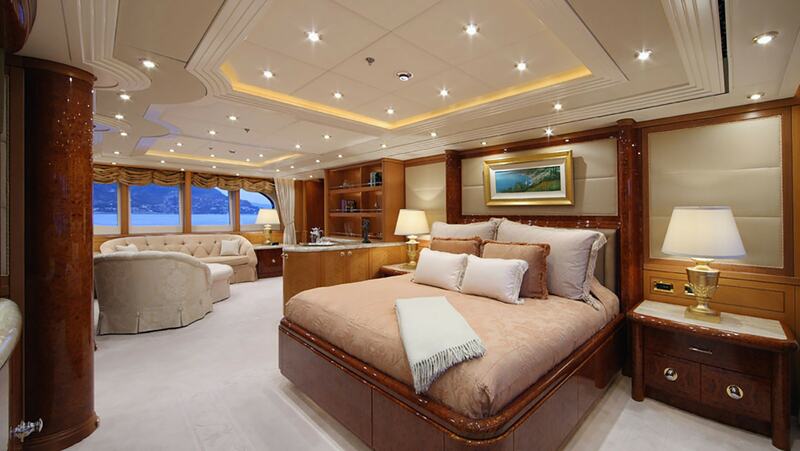 M/Y CAPRI I, aft of the main deck, features a generous main salon and a formal dining room. 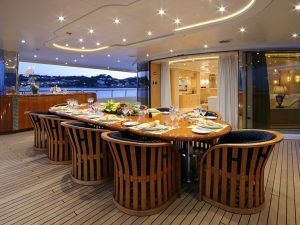 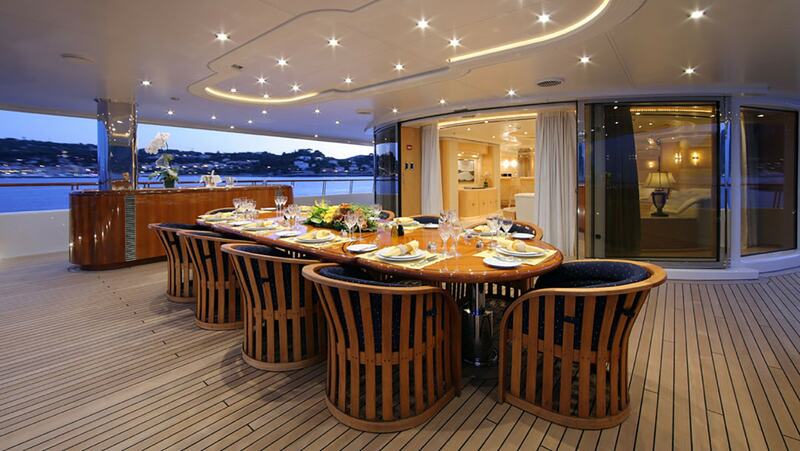 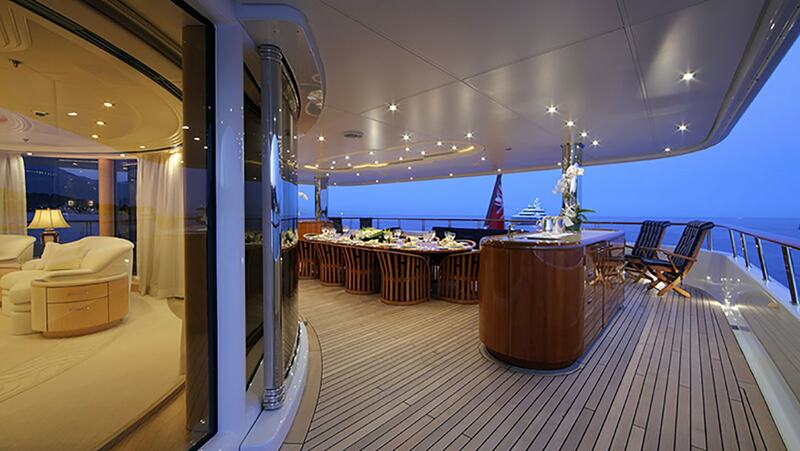 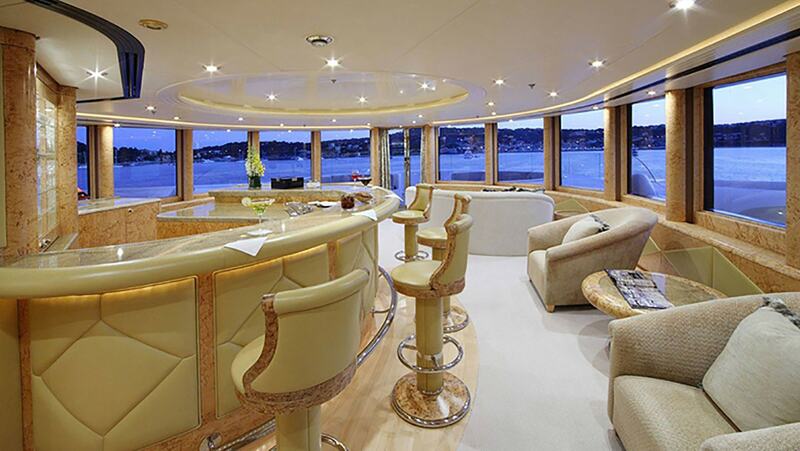 In the upper deck, her guests, can enjoy the panoramic, marvelous view in two separate seating areas with bar. 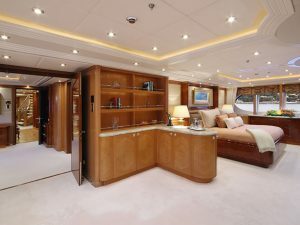 Aft of the lower deck is the tender garage with two hydraulic doors for easy loading and docking. 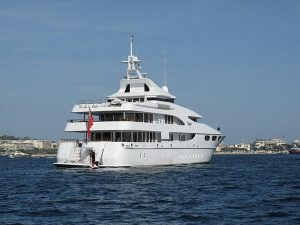 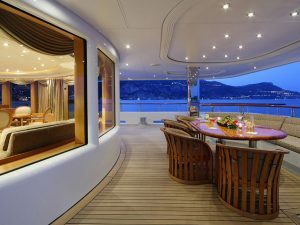 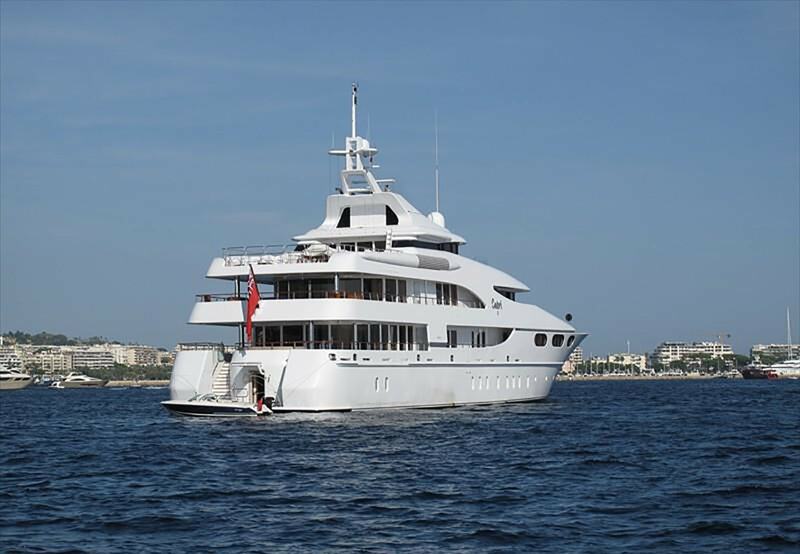 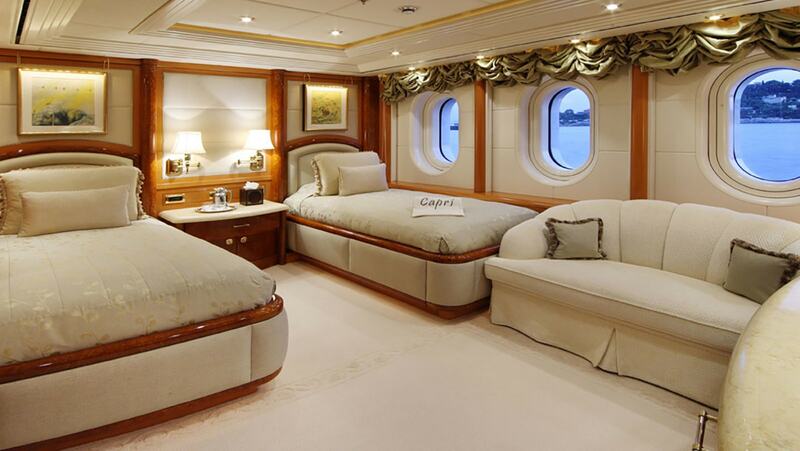 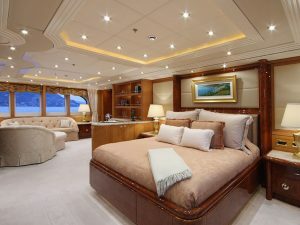 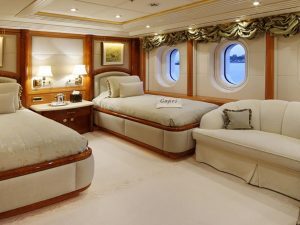 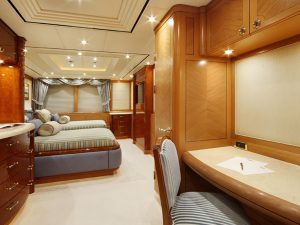 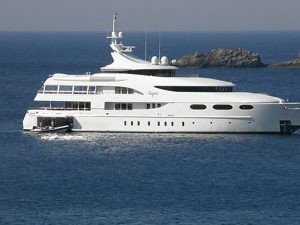 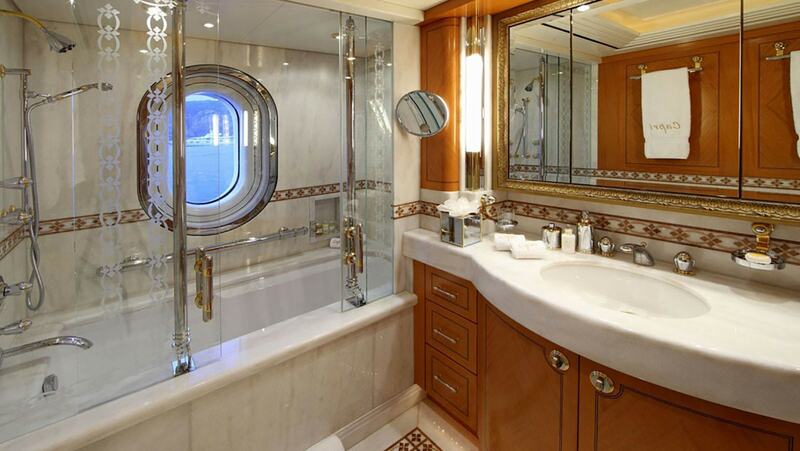 M/Y CAPRI I, accommodates 12 guests in 6 cabins. 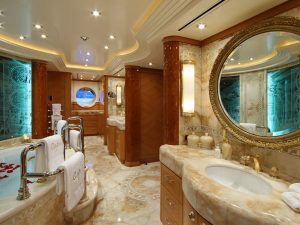 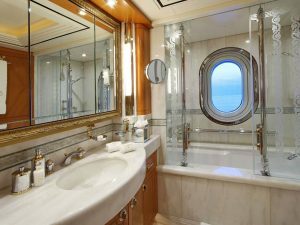 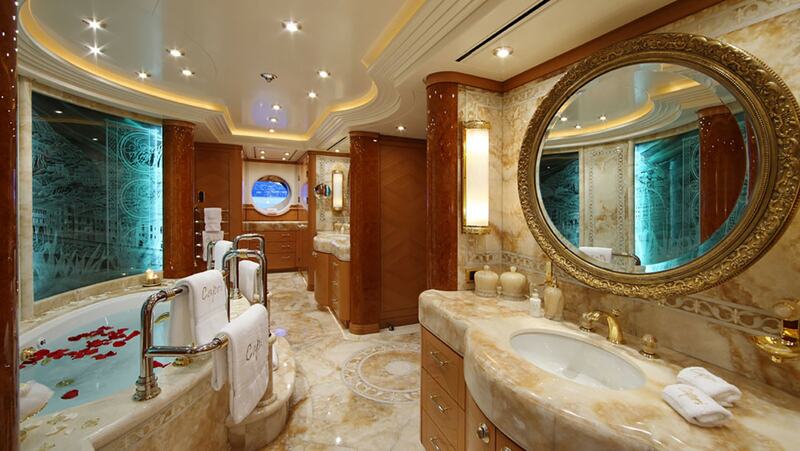 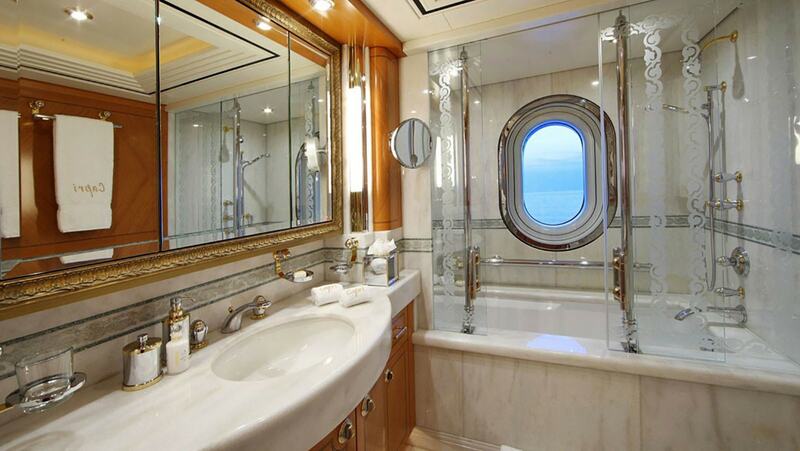 The full-beam Owner cabin is located on the main deck and features an onyx bathroom. 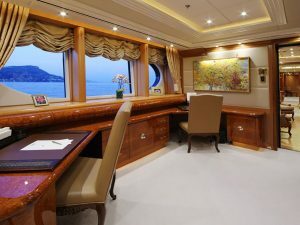 Beside to the cabin is the owner’s private office and the library. 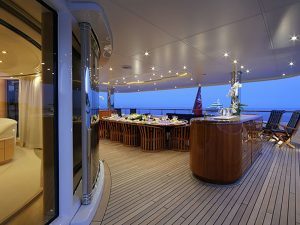 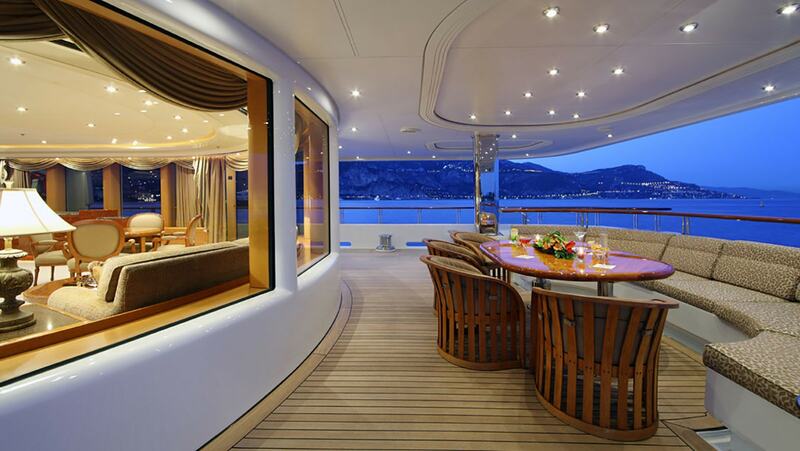 Also in the main deck is located a VIP cabin which can form a children’s cabin. 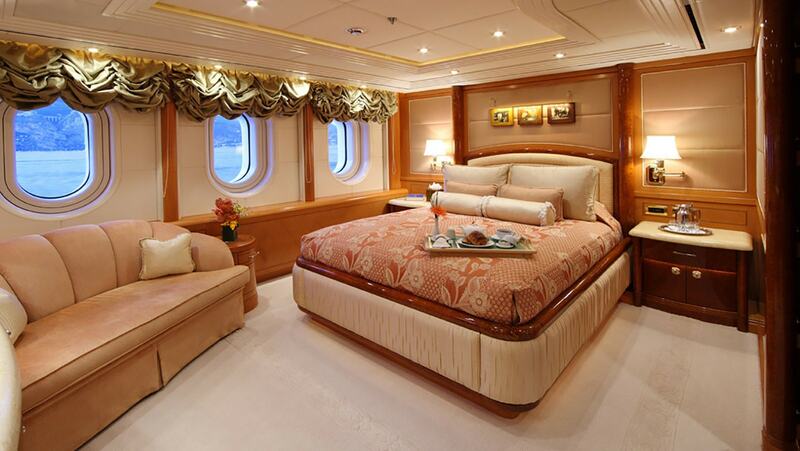 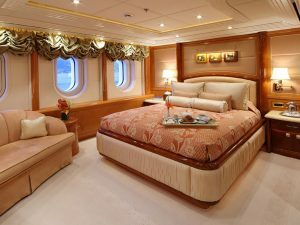 On the lower deck there are located 3 king sized cabins with extra large windows and a twin cabin. 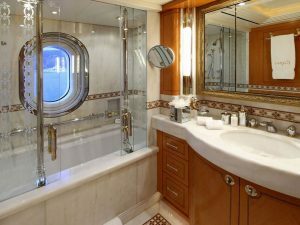 All cabins are with ensuite facilities. 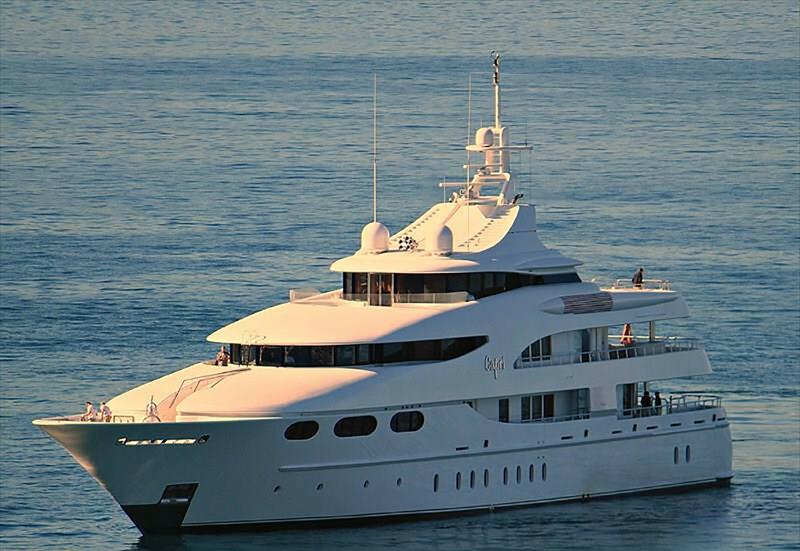 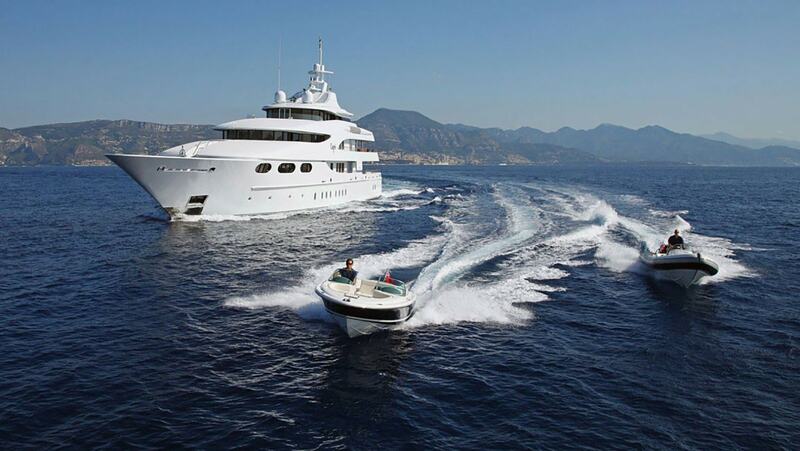 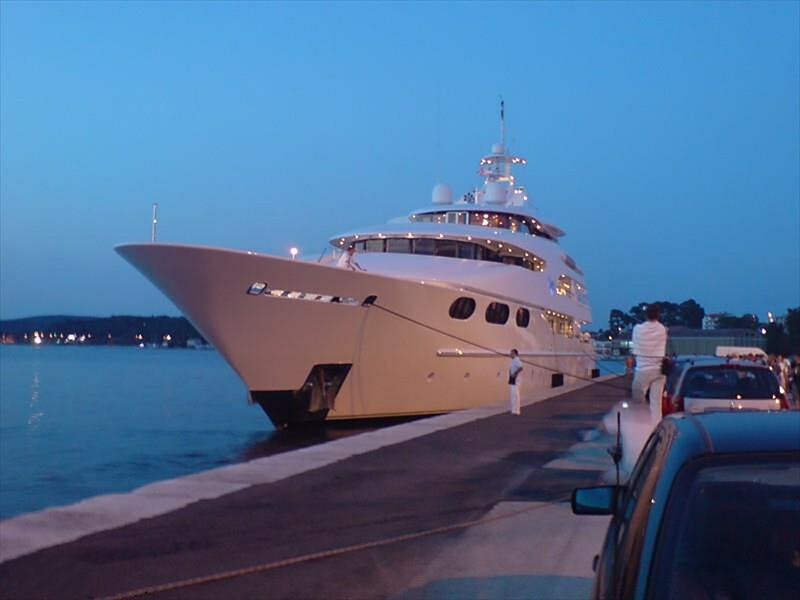 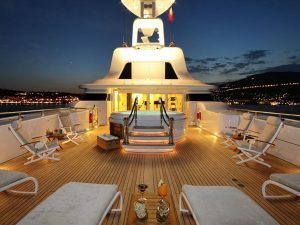 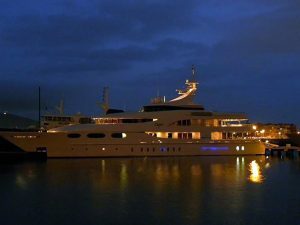 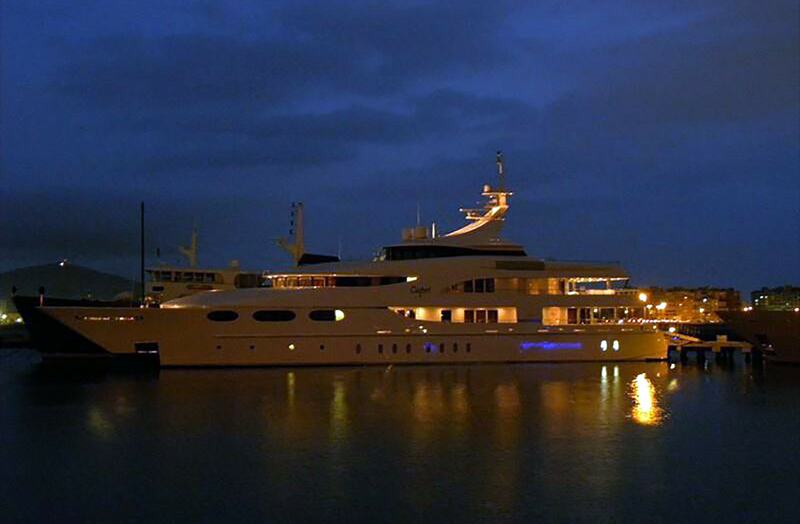 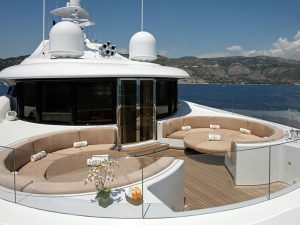 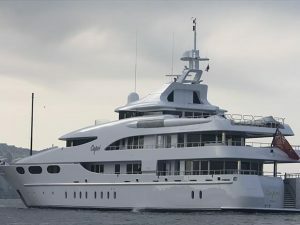 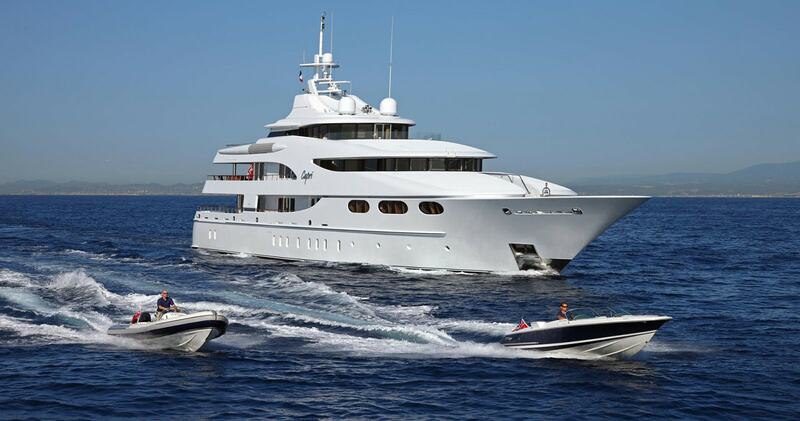 She is also able to carrying up to 16 crew onboard to ensure luxury yacht experience. 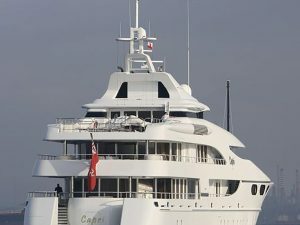 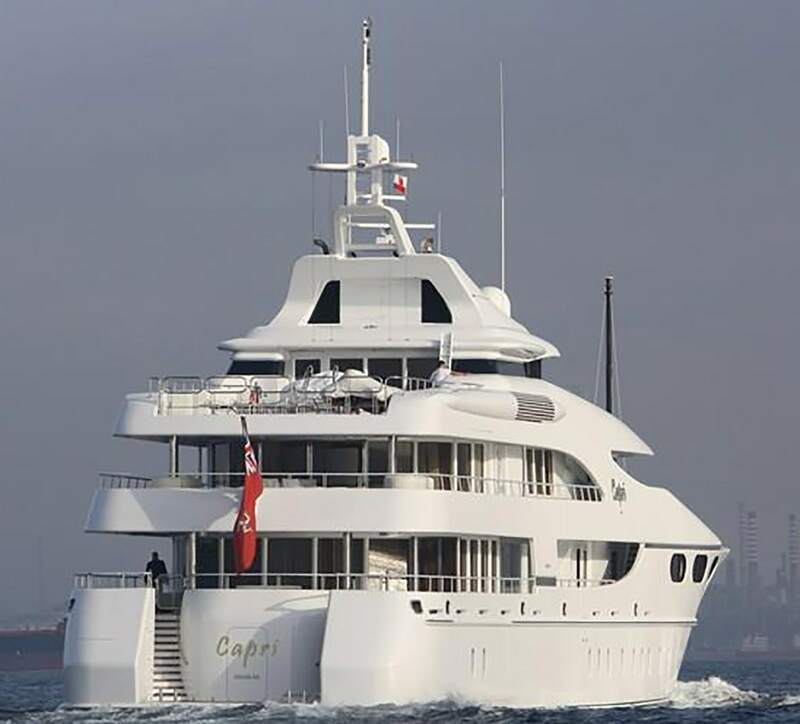 M/Y CAPRI I, is built with Steel hull and Aluminium superstructure. 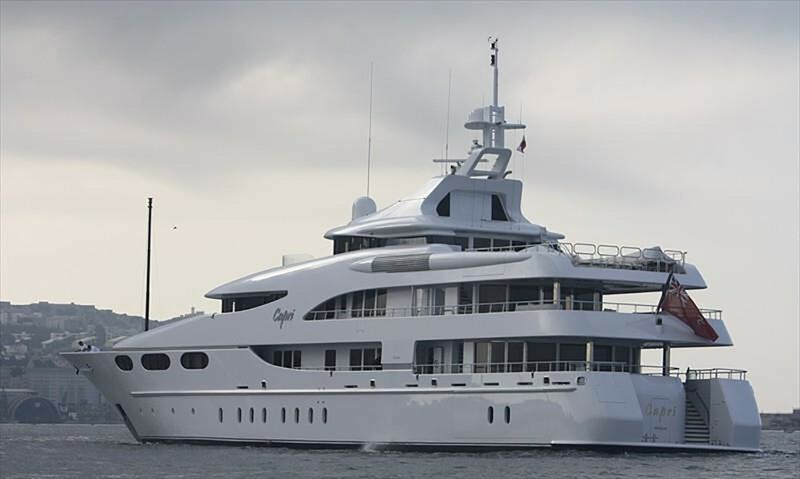 Her twin 1950hp Caterpillar engines, give her a range of 6,000 nautical miles and she is fitted with Naiad zero speed stabilisers. 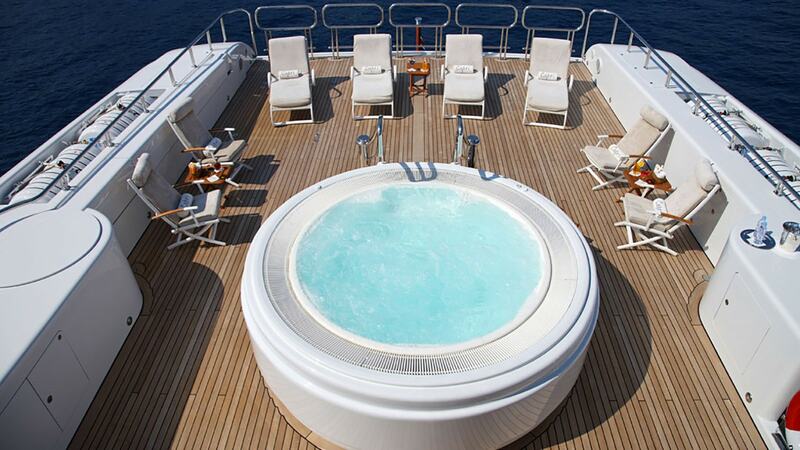 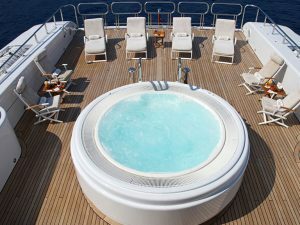 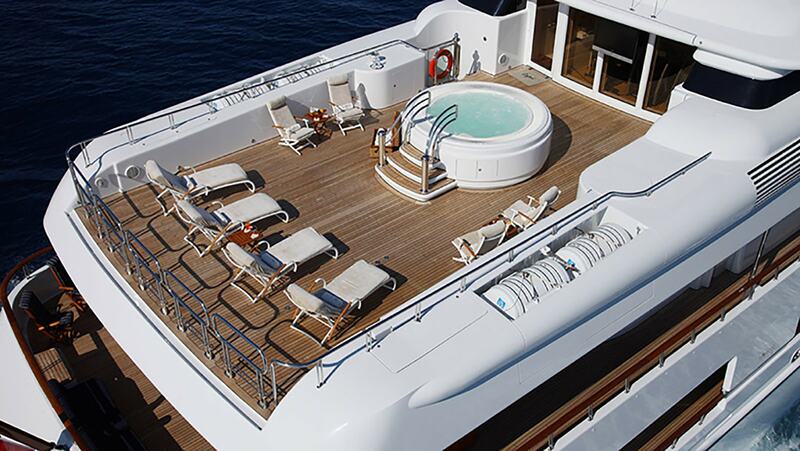 Mega M/Y CAPRI I, is equipped with many water toys to provide endless hours of entertainment. 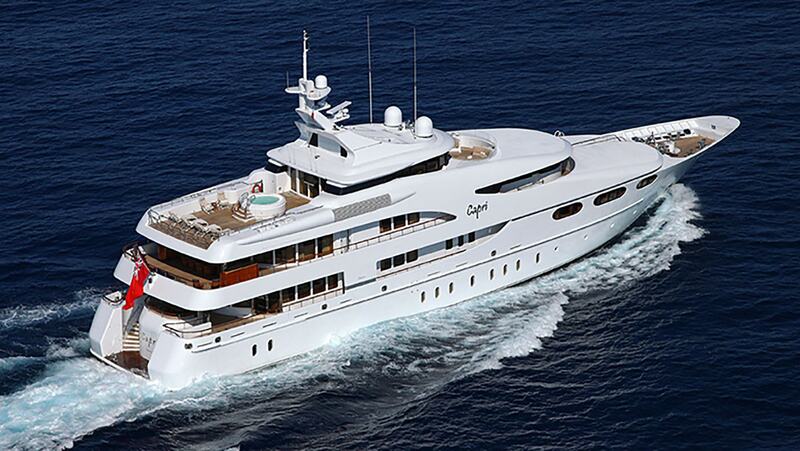 M/Y CAPRI I is the perfect mega charter yacht for relaxed, luxury vacations. 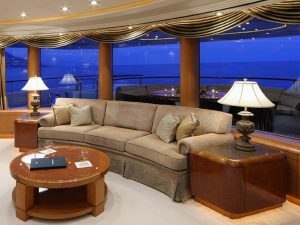 You're welcome to view the APA tally onboard at any time and when your cruise comes to an end, the captain will work out if you owe us, or if we owe you! 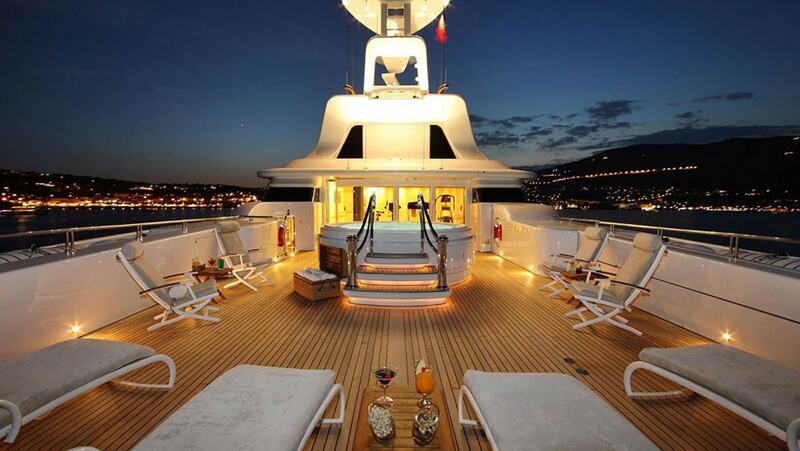 Please enter your details to complete the request.